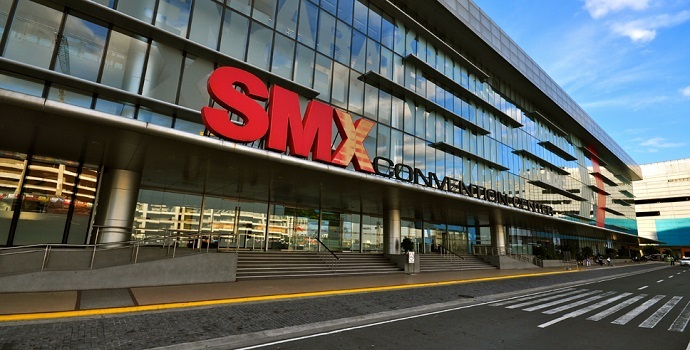 The SMX Convention Center is a 46,647-square meter facility ideal for international exhibitions, large-scale trade events, industry conventions, and corporate and social functions. With 4 Exhibition Halls, 5 Function Rooms, and 14 Meeting Rooms, totalling 21,000 sqm of leasable space, the Venue may accommodate a wide array of events from a group as small as 10 to a delegation of 18,000. Please contact the following hotels directly for your accomodation arrangements. Strategically located at the heart of the Mall of Asia Complex in Pasay City, Philippines, the SMX Convention Center is five-km away from the domestic and international airports. The Manila Bay seaport, world-famous for its picturesque sunset, is a mere fifteen-minute drive from the facility.